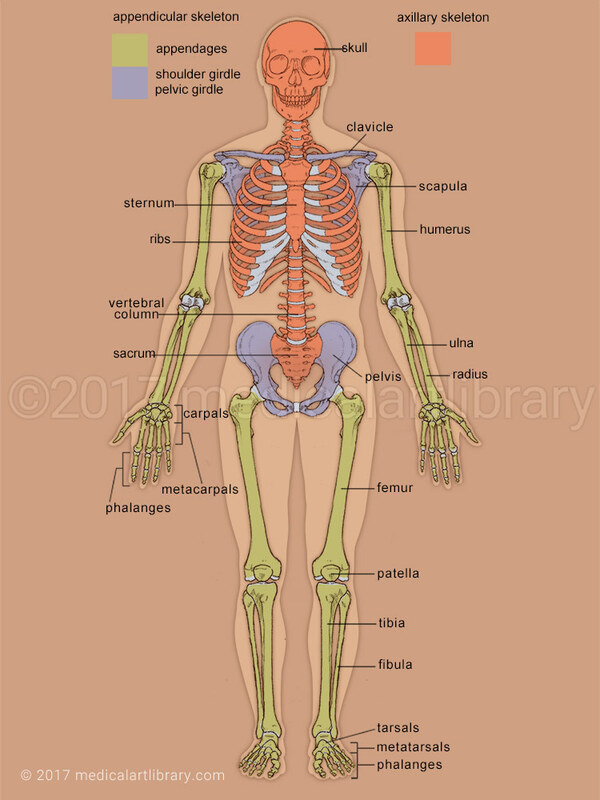 The adult human skeleton is made up of 206 bones, and is divided into two main divisions: the axial and appendicular. 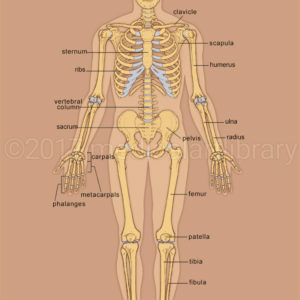 The axial skeleton consists of the bones along the axis of the body. The appendicular skeleton consists of the bones of the appendages (arms and legs) and the girdles (shoulder and pelvic) that connect them with the axial skeleton.